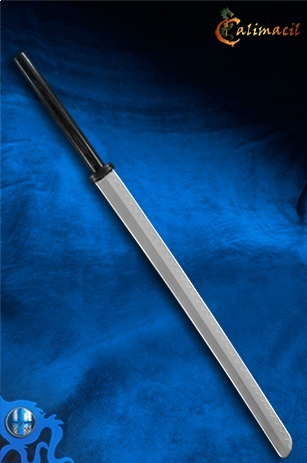 NOTE: One of the Ninja swords we have in stock have a solid black handle; i.e. it does not have the white lacing on the handle. 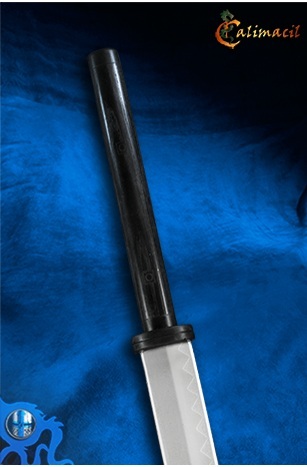 Please specify in the COMMENT block of the first Checkout page if you want the solid-black handle Ninja sword. 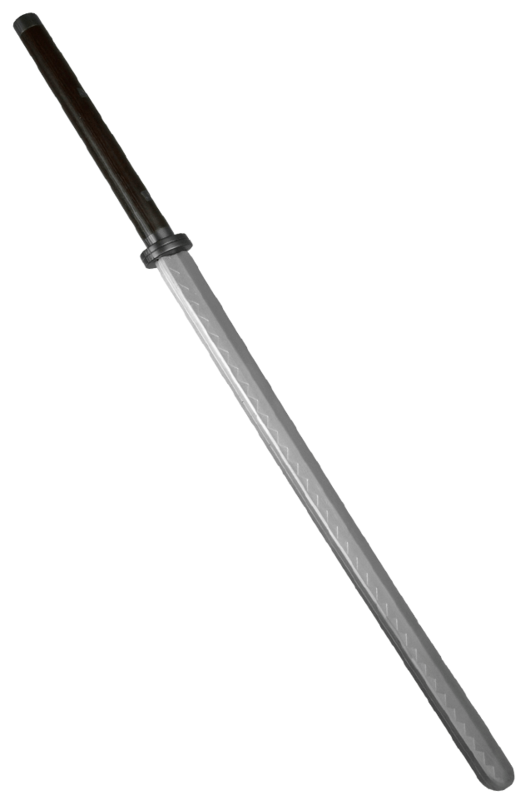 This sword is a faithful replica of the swords used by most of the Ninja clans in ancient Japan. It simplicity is elegant and provides for ease of use - which is why it was such a popular design for so many hundreds of years. Note: This item is eligible for free shipping. 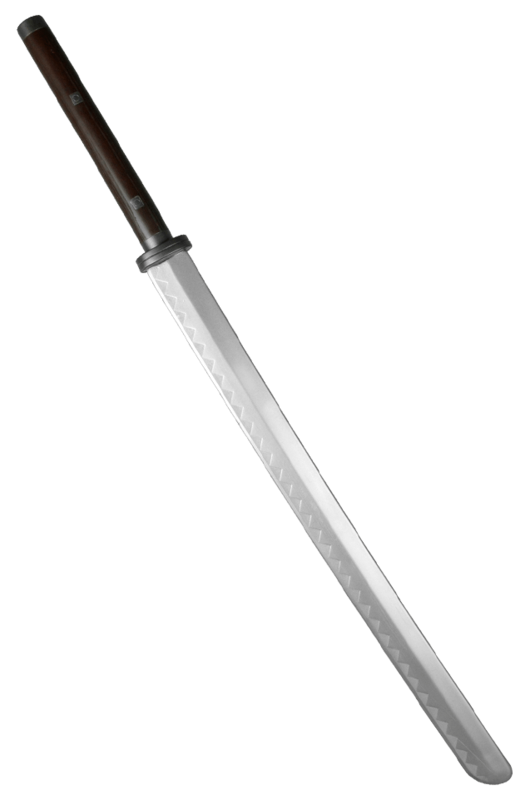 The Ninja II is the natural evolution of the first generation of this sword. Always made of safe Calimacil foam, this weapon will give you years of good use thanks to its unrivaled durability. 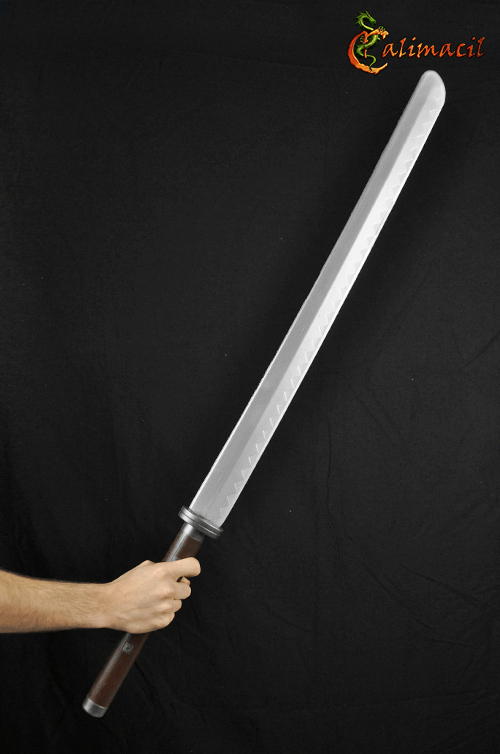 The guard of the sword is now steel-coloured and the handle is brown. 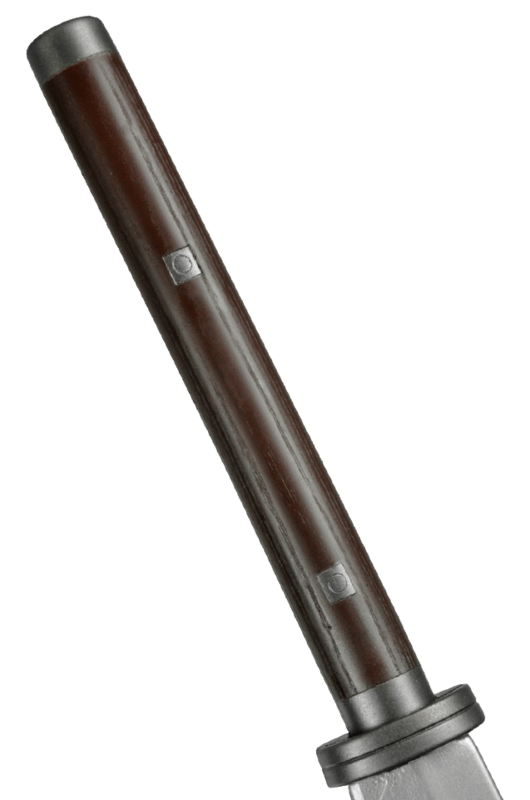 The blade stays silver-coloured to make a unique and incredibly realistic weapon.